"friday-lunch-club": "al-Qaida; the Salafis, & the Muslim Brotherhood... all equally dangerous!" "al-Qaida; the Salafis, & the Muslim Brotherhood... all equally dangerous!" "...Focusing on the Sunni tidal wave, the foundational bit of knowledge is that there are three types, and you better learn them all and their complex interrelationships because a lot of people are going to be misinforming you about this and getting others – never themselves, of course – killed. The three types are the al-Qaida type; the Salafis, and the Muslim Brotherhood. They are all equally dangerous and some are more dangerous in different ways. 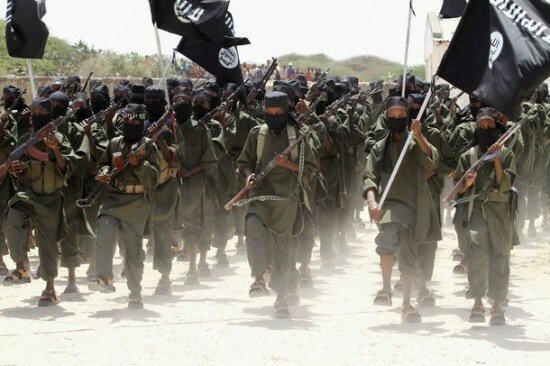 Have no illusions.... al-Qaida is not the great threat of the 21st century. It is a problem for counterterrorism and relatively lightweight counterinsurgency. .... even al-Qaida can be used by the Brotherhood. Look at what happened: an al-Qaida group stormed into an Egyptian base, killed lots of soldiers, stole a couple of vehicles, and attacked the border with Israel. True, the Egyptian regime (that is, the Brotherhood) attacked and killed some of the al-Qaida people. After all, these terrorists had murdered Egyptian soldiers. But what did the regime tell its people? That Israel was behind the attack. Israel had murdered Egyptians. Then there are the Salafis, a word coined only recently in part as a pretense to pretend that the Muslim Brotherhood is moderate. ........ Sometimes the Brotherhood uses the Salafis as a convenient excuse. If Islamic Jihad lobs rockets and mortars at Israel, well – wink, wink, nudge, nudge – that isn’t the fault of Hamas, is it? At times, the Salafis can furnish the Brotherhood with the needed stormtroopers, ............One thing is clear though: the Salafis’ goal is exactly the same as that of the Brotherhood. The only question is how fast to go, how radical to talk, and how much violence to use. ..."